Rover sitters are your rainy-day-dog-walkers. Your every-day-belly-rubbers. Your tug-of-war players. Your middle-of-the-night-pee-breakers. Because we get it—your dog is family. And when you can’t be there, you can trust us keep your dog happy, healthy, and sweet as ever. 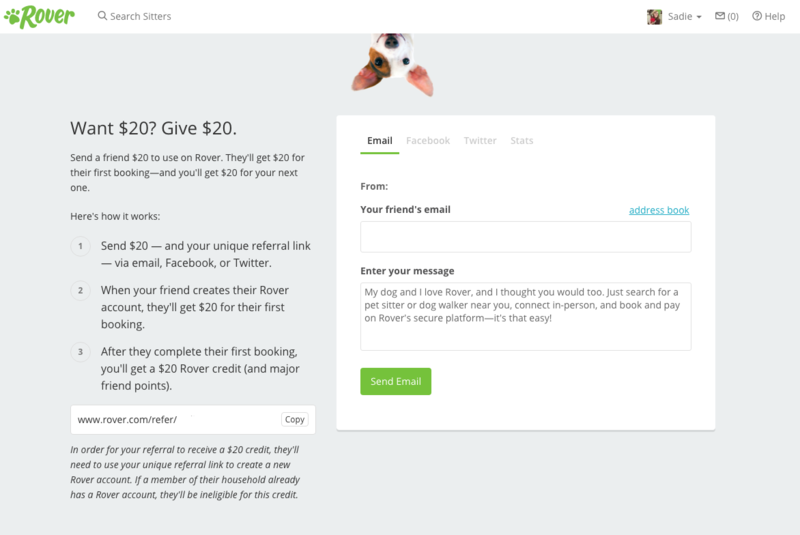 Give your friends $20 to use on Rover. When they book a stay or walk, you’ll earn a $20 credit towards your next booking—it’s a win-win! 3. Select Send Email or Share. You’re all set!